Chapter 7 and Chapter 13 Bankruptcy: What’s Right For You? Have you been struggling with mounting bills that never seem to go away? If you’re like many individuals in northwest Ohio, then you may be feeling pretty stuck. You want to pay back your debts, but you simply can’t afford to. What are your options? Who can you turn to for help? 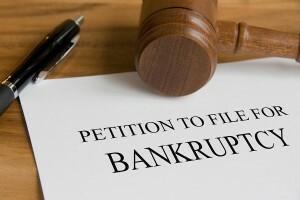 You’ve most likely heard of the idea before about filing for bankruptcy. But, do you know what it means? Is it an option for you and your present circumstances? There are actually a few different ways that, as an individual, you could file for bankruptcy. Here’s a description of two common types that you might consider. Maybe one form will be able to provide you the help you need to escape a growing mountain of debt that’s holding you back. Typically, if you’ve heard others mention the phrase “filing for bankruptcy,” this is what they’re talking about. Chapter 7 Bankruptcy is the method of choice for lower-income individuals and small businesses because it’s a fairly quick process. After just a few months, you can get a fresh start financially. If you are in the same boat as many others, you probably have little to no disposable income and an annual income around Toledo’s median amount of $31,000- or less. If you find yourself getting buried in debts without any way to pay them back, this may be a viable option to choose from. The loss of a job, serious injuries or illnesses, or life’s sudden emergencies; any unexpected major financial burden could send you down the path of financial instability. And before you know it, bankruptcy could be the only way out. If filing for Chapter 7 Bankruptcy isn’t an option for you, you may still have the choice of filing for Chapter 13 Bankruptcy. “So, what’s the difference between these two forms of Bankruptcy,” you may ask. Why could you qualify for one and not the other? You may make too much money to qualify for Chapter 7 Bankruptcy, but still be in need of help for mounting debts that you’re incapable of paying back on a standard schedule. Chapter 13 Bankruptcy is also known as reorganization bankruptcy for regular income individuals. Unlike other forms of bankruptcy that clear away your debts, Chapter 13 Bankruptcy requires individuals to pay back a portion of their debts within a repayment plan. Many individuals favor this option because it allows those in financial trouble to get caught up on missed payments and still keep all of their assets in the process. One downside to this method of bankruptcy, however, is that the process can take several years to complete. The clean start you may be looking for could take a lot longer that you expected with this plan. The answer to this question should not be one that you make lightly. There are short term and long term effects that bankruptcy will have on your life. But, if it’s the best option available to help you get the fresh start you’re looking for, then I may be able to help. We can sit down and examine the circumstances surrounding your debts, and discuss how bankruptcy could work for you. I understand that your financial situation does not sum up who you are. You have dreams for your future and a hope to not be burdened by the weight of debt. It’s my goal to help you get there. A free case evaluation is just a phone call away. Contact Toledo bankruptcy lawyer Michael E. Bryant’s Toledo, OH law office today to get the justice you deserve.